You’ve got to love this baby stroller, even if you don’t have a child of your own. It features red under body lights, whitewall tires and a red interior. 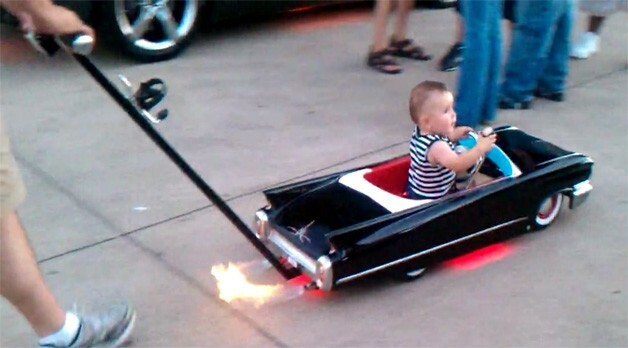 Oh yeah, you can also push a button to shoot flames out the back! Check out the video and the ebay page where you can buy the fiberglass body to make your own. This entry was posted in Miscellaneous by northredline. Bookmark the permalink.